So you like to draw things a bit larger, and technical pens just don’t get big enough. You don’t want to use a brush or something similar. You may want to try the Pigma Graphic in size 1. The body is identical to a Micron body. It’s tan and smooth, with most necessary information printed on it. It has a place on the back for the cap to fit that is color coded. The cap is nice and has a metal clip. On the top it says 1 to indicate the size. The top can rub off, though, with some rough treatment. The grip section is easy, kinda small but easy to hold onto due to it being textured. The tip is felt. It comes to a point that is about 1mm. It flows nicely, laying down a nice line with no inconsistencies. The point doesn’t have much flexibility, making the line very constant with could be a plus or a minus. The ink is the same black that all Pigma pens have. It is fade and smear resistant, with some waterproofness to it. It is also acid-free, making it archival quality. In other words: it’ll last as long as your paper does. The ink is also a very nice, true, dark black. The writing experience is smooth and easy. 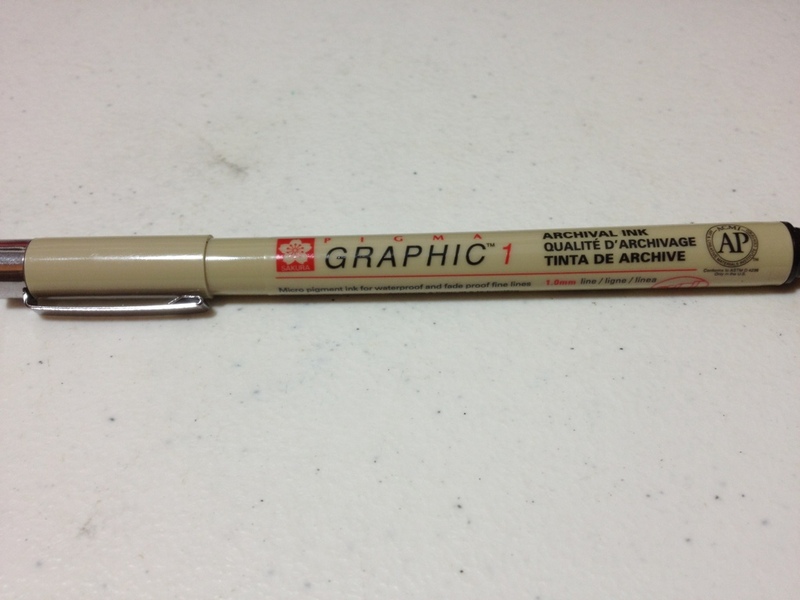 To sum up, the Graphic 1 is basically a larger tip Micron. 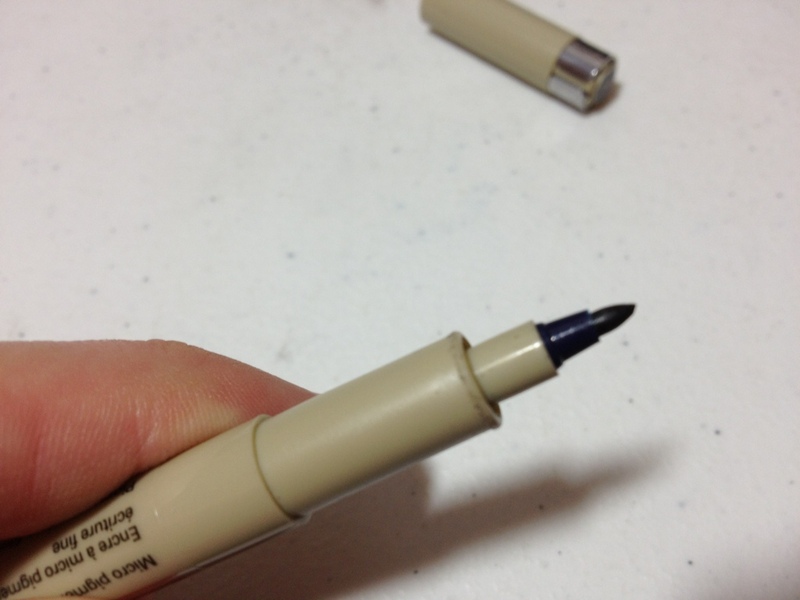 It does have a different type of tip, on which the point can be more easily damaged, but the base is more secure. If you like Microns and need something bigger this is a good choice. And if you like felt-tip pens and want a higher quality one this is certainly the pen for you. This entry was posted in Advanced Supplies, Utensils and tagged 1, 1mm, black, felt, felt tip, graphic, marker, pen, pigma, review, size by Dragon Co (Austin Smith). Bookmark the permalink.